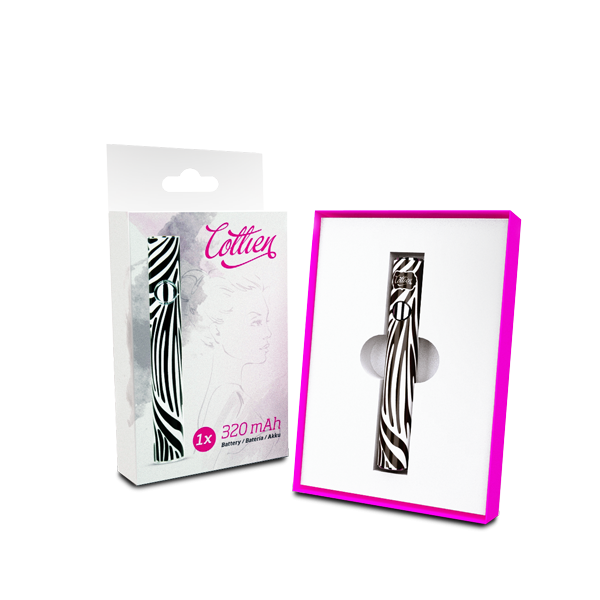 A petite, slim battery with roguish design﻿ A compact battery (320 mAh) is enough for a whole day of e-smoking. Provocative design for women who know exactly what they want and are unafraid to pursuit their desires. 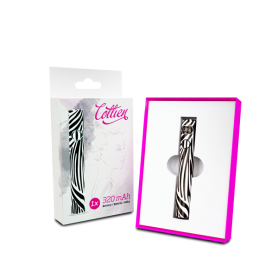 Unleash the animal in you!﻿ Despite its compact size, Cottien battery features all important functions - the 5-click locking system and the charge level indicator.﻿ ..